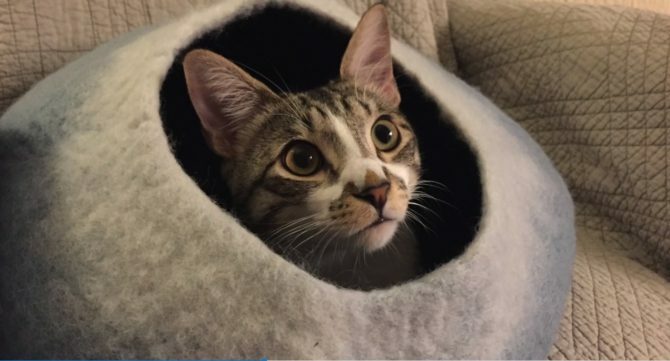 The Cat Cave by Walking Palm is a cozy hideaway that provides a comfortable sleeping and playing burrow for cats and kittens of all sizes. Cats love the smell and feel of its all-natural, hand-made New Zealand wool. This entry was posted in Pet Age, Press. Bookmark the permalink.